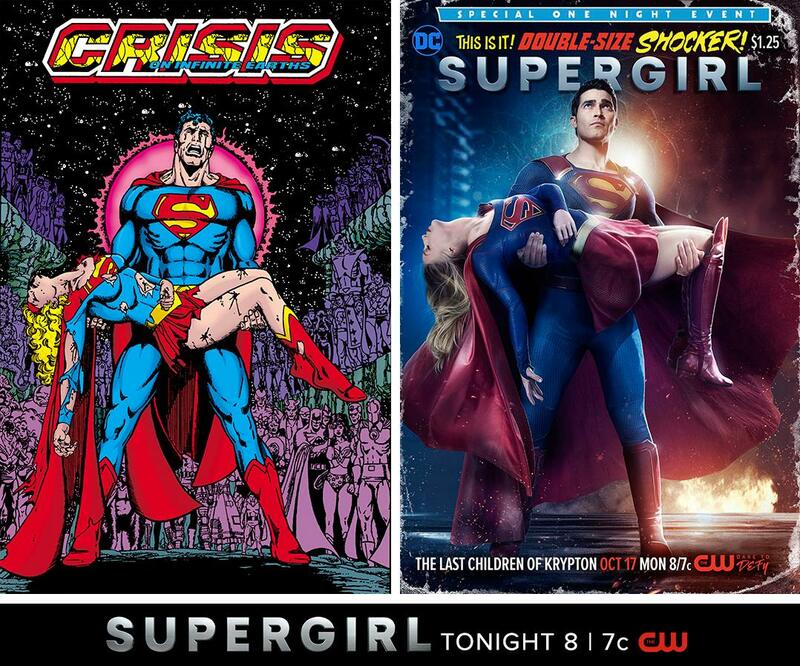 Last year, Supergirl soared on CBS. 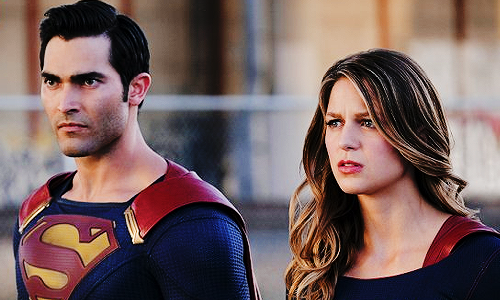 At the conclusion of season one, the show was transferred to the CW to add to their "week of superheroes." Initially, I had mixed feelings about the show. It had a lot of potential, but oftentimes, it fell short of my expectations. But I haven't given up on it yet. And after watching the season two premiere, I'm glad I haven't. 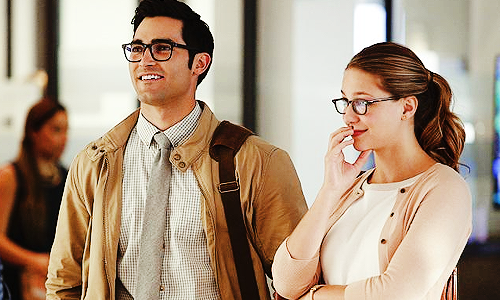 Since they first started teasing season 2 of Supergirl, I've been waiting in agonizing anticipation for the premiere. Why, do you ask, would I be eagerly awaiting the return of a show that left me with half-baked hope for its future? One word: Superman. SUPERMAN. Within thirty seconds of Clark Kent appearing on the show, I was almost in tears of joy. Superman was the first superhero I adored, and while I've found many others to love, he still remains in a special part of my fangirl heart. Thus, I've been continually disappointed by recent portrayals of the character. From Superman Returns to Batman vs Superman, I've felt betrayed by movie-makers for ruining my character to appease a larger audience. *Note: I haven't seen every version of Superman created. But of the most recent versions, he's the best. He's not cheesy or brooding or being ruined by Zack Snyder. In addition, there were so many fun references to previous Superman films, especially the Christopher Reeve films. It was super. There's a new Kryptonian, who crashed in a pod similar to how Kara did; I look forward to seeing how he affects Supergirl. Metallo--a Superman supervillain--was introduced at the end of the episode, which was cool. And then there's Cadmus Labs. The name is familiar because Smallville dealt with it, so I'm hoping it'll be interesting. Winn is still an adorable fanboy, but now he gets to work for the DEO. He's come so far in the last year; I'm stoked for this new development in his character's story. The only thing I'm a little so-so about is that Kara has decided she wants to be--no, needs to be--a reporter. While I know that's a classic trope with superheroes, I was hoping she'd work towards something more, something different than Clark. (Like becoming the next Cat Grant?) But alas, we'll have to settle for watching her maneuver the reporter life instead. All in all, the season two premiere of Supergirl was thrilling. And it gives me hope for the rest of the season. I'll spare you the fangirling over Superman, but I was still overly excited that he was in not one, but two episodes this season! However, I was sad to see him go. (Please come back!) I really want the CW to consider a spin-off show for him. I mean, we need five nights of superheroes, right? Right?! A lot happened in this episode as well. We had the iconic "Death of Supergirl" moment when Clark picked up Kara to take her away from the fight. While she didn't die--and wasn't in any danger of dying--it was still cool to see him hold her in that iconic pose. The Metallos were interesting. I'm curious as to what Cadmus Lab is trying to do. I know they want to eliminate aliens, but I don't really know why. What's at the heart of all of this? Winn fanboying over Superman will never get old. Never. Overall, I'm actually liking season two of Supergirl so far. While I still think it has a ways to go until it lives up to The Flash and Arrow legacy, I think they've got a good start. Plus, did I mention how perfect Superman was? What did you think of the season two premiere of Supergirl?